Products of the domain : Château Haut Brion. An exceptional wine with a legendary reputation, certainly the most famous of Bordeaux, Haut-Brion fascinates by its great regularity throughout the centuries. Château Haut-Brion, located in the commune of Pessac, is the most recognized vineyard of the Graves vineyards .
" 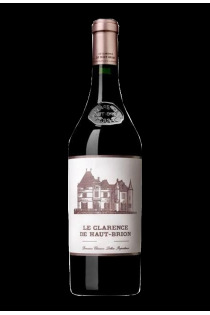 First Grand Cru Classé " according to the 1855 classification of Bordeaux wines ", it is classified at the Châteaux Latour , Margaux , Mouton Rothschild and Lafite Rothschild . In addition, Le Château Haut-Brion is also classified as classified cru classés in the classification of 1959. 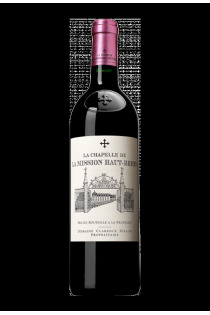 What a distinction for this Château Haut-Brion , probably the most recognized and the most sought after in the world. Haut-Brion has not merely relied on its reputation but has constantly been at the forefront of innovation to ensure its exceptional level of quality. It served as a model in the exploitation of the vine, with a large program of clonal selection, and in the cellar being precursor with the introduction in the early 60's of stainless steel winemaking vats which then repented in the most Share of domains. La Chapelle de la mission - 2017 - Château Haut Brion.